Ellie and Meeka release their special surprise video today! Making slime with giant balloons! This was a crazy mess and boy did they have a blast making this. 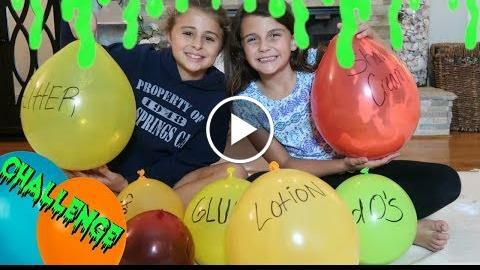 If you want them to make more slime videos make sure you thumbs this up and comment below what other slime challenges you want them to do! Enjoy the weekend bonus video!